let the Autumn Wind blow. Last night, I was finally able to rewatch my DVR’d version of ESPN’s special30 for 30: Straight Outta L.A. presentation. 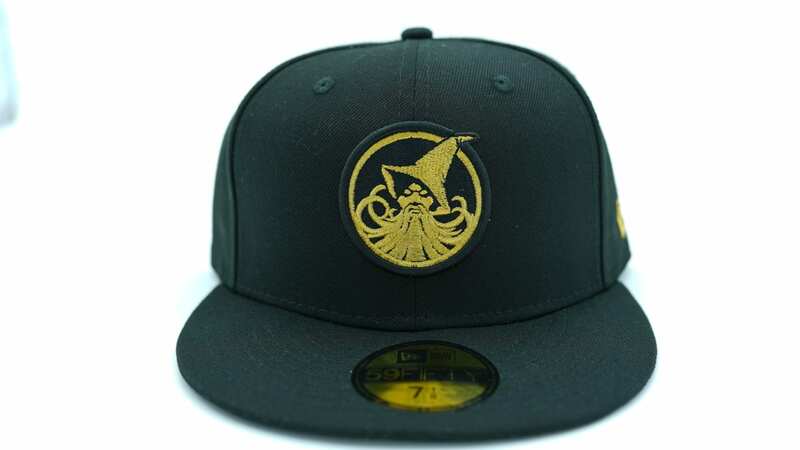 Produced & directed by citizen of L.A./Raider Nation, O’Shea Jackson (aka Ice Cube), the product was highly anticipated by YKI. 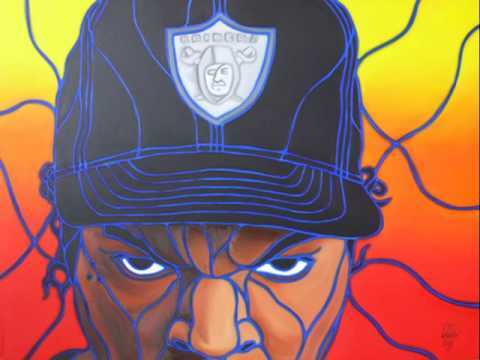 As both an academic purveyor of the socio-cultural influence of hip hop and fervently enthusiastic Angeleno, the integration of hip hop against the backdrop of sports politics – featuring YKI’s favorite football team – was truly must-see programming. *The hero shot of Snoop & Cube entering the L.A. Memorial Coliseum was particularly cliche, if not entirely genuine. Early in the film, Jackson makes it known that the antagonist of his documentary is a Montgomery Burns/Skeletor hybrid played by Al Davis. With basic production and shot selection vis-a-vis filming, Cube ingeniously interspersed animated storytelling to portray the introduction of The Silver & Black to the literal Boys(z) in the Hood. No Mas & James Blagden (famous for their similarly animated, charming interpretation of Doc Ellis‘s no-hitter, thrown while under the influence of LSD) take a literal approach to the animation, crafting the conversations & actions of a young Jackson, Andre Young (Dr. Dre), Eric Wright (Eazy E), DJ Yella & MC Ren, with austere black & white minimalist portrayals. USC Cinematics professor Todd Boyd, eMCees Chris Reid (Kid of Kid n’ Play), Tracy Marrow (Ice-T) & Carlton Douglas Ridenhour (Chuck D) lend equal insight regarding the Los Angeles street culture, reflected in the rapidly ascending influence sales of west coast rappers, which – when viewed in this prism – began with the aforementioned N.W.A. Along with King Tee & Ice-T, they were the original gangsta rappers – “they intro’d as a gang called N.W.A.” Ice-T notes – in the consummate gangsta city. The land of drive-bys & six-foh’s was being exposed nationally, and N.W.A. was doing the narration (*as Jackson does in this film, bytheway, and its distracting-yet-charming, much like the same tactic in Friday). Most symbolically, the N.W.A. gang all rocked Raider paraphernalia, courtesy of Raider marketing exec Mike Ornstein, who actually provided the first gear to the group’s members. 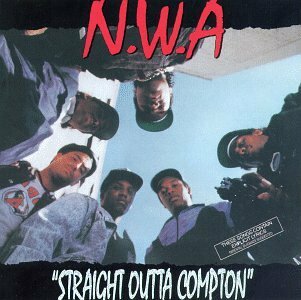 From the release of N.W.A.’s defining Straight Outta Compton through Ice Cube’s solo move to the East Coast – coincidentally right around the time the Raiders moved back to Oakland – Raiders merchandise sales exploded. Whether or not this was directly due to the group’s inexorable link to the team & colors is a dubious assertion, but Jackson’s point is made: “This is a ‘hood team,” says Professor Boyd. Despite the violent nature of the Nation’s fans, when “the streets came to watch the game,” the Coliseum best represented the diverse demographics of the city, most proudly with the victory in Super Bowl XVIII. 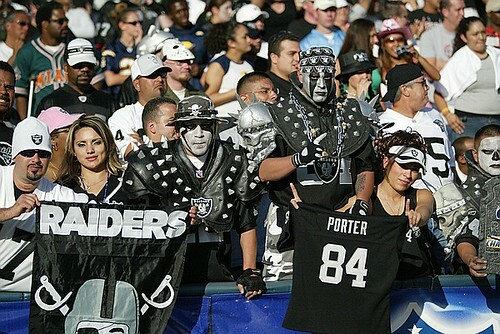 Scorsese or Fellini he is not, but Jackson/Cube executes his vision, palpably connecting the influence of the group & the team – more importantly, Raider fans & native Angelenos can both enjoy an internal look at the City that spawned a Nation. This is a very savvy move on the part of USC; bringing home a young, fiery, competitive coach who is VERY familiar with the system – as well as the players – having been the offensive coordinator in 2005-06, and coaching alongside Pete Carroll the previous four seasons (entire coaching career below). The benefit of retaining a coach that knows the program, the mentality and the personnel can not be overstated. Furthermore, with Signing Day only three weeks out, the Trojans wasted no time in answering optimistic Bruin supporters who anticipated that Rick Neuheisel would finally have UCLA as the front-runner for local athletes. Kiffin, of course, brings his baggage, most of it neatly exposed in a (literal) Powerpoint presentation, by his former employer: The history with Al Davis & the Raiders was a debacle (though it’s fair to put the blame mostly on Davis, eg the Dark Night/Darth Vader/Mr. Burns, Death Personified), but the intrigue really appears with Kiffin’s tenure at Tennessee. In his first month at the SEC program, Kiffin managed to outright piss off every fan in the SEC, while simultaneously firing up his own fanbase. A decent season and an apparent good recruiting class turned Kiffin into a darling in The Volunteer State, with big expectations for 2010. And as the timing was great for the Trojans, it may have a deleterious effect on the Volunteers. Three weeks left until the big day and he leaves? Wow. He’s probably taking Ed Orgeron and his dad, Monte, with him – further depleting UT at the most inopportune time. That said, Kiffin’s cajones have belied his age, and he has a great knack at entering his new job in a PR maelstrom. The Bill Plaschke HateWagon is already out in full-force, and I’m sure many college football loyalists (even those outside the SEC) are ready to pounce on LK at the first sign of controversy or scandal. Aside from that, there is still the Will-Reggie-Bush-Lead-the-Trojans-to-an-SMU-caliber-Death-Penalty issue hanging over the program; right now, Kiffin is calling this position his dream job – but shall the Garrett-imposed sanctions not be enough to appease the NCAA, it may end up very Pollyannish. Thank you Los Angeles Times, for the sweet Kiffin graphic. Al Davis Losing Control of Raiders? 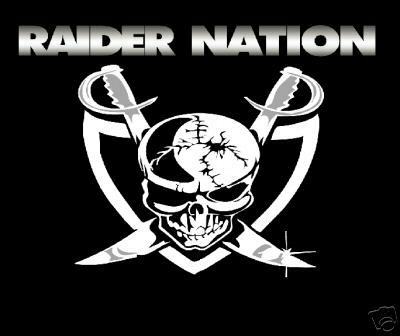 The always-hustling Jay Glazer reports that the Raiders are looking to sell 10% of the franchise, not a bad move for Raider fans that are waiting to recapture the glory of the Gannon & Garner Silver & Black. 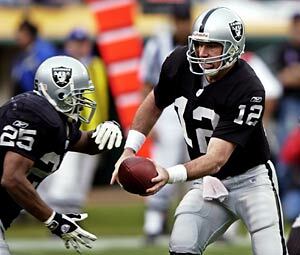 The Raiders have 27 wins (against 80 losses) since the 2003 Superbowl, by FAR the worst in the NFL. They’ve lost 10+ games six seasons in a row.